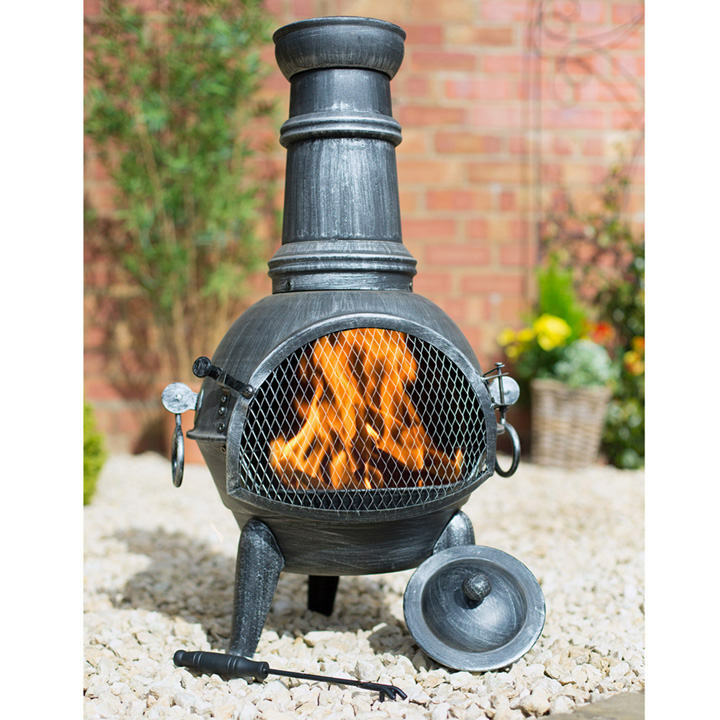 This traditional Arriba medium pewter effect steel chimenea with grill is robust even under intense heat making it ideal to add a bit of rustic charm to any garden or patio. The pewter moulded steel effect is durable making it able to withstand harsh weather to its traditional and classic design. Cleaning and filling is made easier to do with its removable lid, once the wire door is shut makes you able to enjoy the flickering flames inside. Your guests will be impressed with its timeless and illuminating style as you can take off the lid, easily add logs and enjoy the glowing flames. 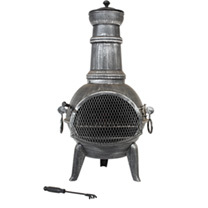 A compact steel chimenea that inculdes a chrome plated cooking grill. Perfect for adding heat to your garden and BBQ style cooking, the Arriba chimenea will keep you warm long into the night. Height 85cm; diameter 40cm.